To a distant observer, our own Milky Way and the Andromeda galaxy would probably look very similar. Although Andromeda is longer, more massive, and more luminous than the Milky Way, both galaxies are vast spirals composed of hundreds of millions of stars. But new research presented at this week’s AAS conference in Seattle suggests that there are other differences as well – namely, in the movement and behavior of certain stellar age groups. This observation is the first of its kind, and raises new questions about the factors that contribute to the formation of spiral galaxies like our own. Armed with data from both the Hubble Space Telescope and the Keck Observatory in Hawaii, a group of astronomers from UC Santa Cruz resolved 10,000 tiny points of light in the Andromeda galaxy into individual stars and used their spectra to calculate the stars’ ages and velocities – a feat never before accomplished for a galaxy outside of our own. Led by Puragra Guhathakurta, a professor of astrophysics, and Claire Dorman, a graduate student, the researchers found that in Andromeda, the behavior of older stars is surprisingly more frazzled than that of their younger counterparts; that is, they have a much wider range of velocities around the galactic center. Meanwhile, in the Milky Way, stars of all ages seem to coexist far more peacefully, moving along at the same speed in a consistent, ordered pack. The astronomers believe that this asymmetry causes Andromeda to look more distinct from our own galaxy than previously thought. 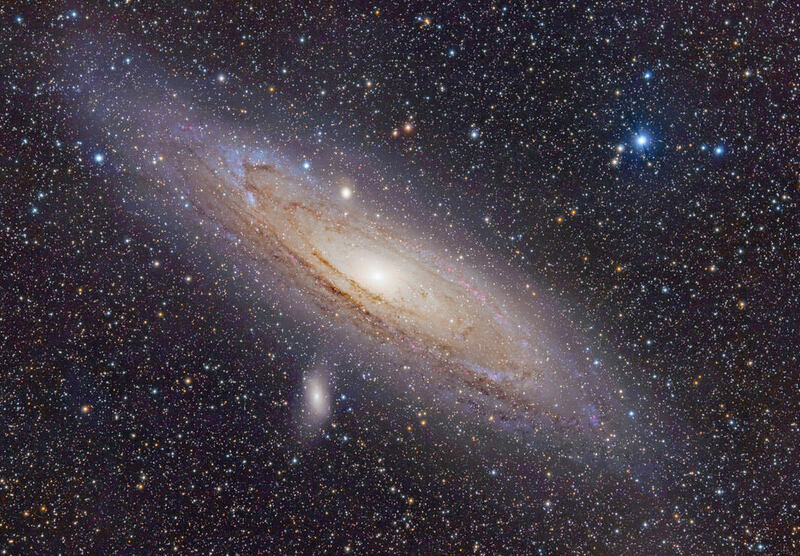 “If you could look at [Andromeda’s] disk edge on, the stars in the well-ordered, coherent population would lie in a very thin plane, whereas the stars in the disordered population would form a much puffier layer,” said Dorman. What could account for such disorderly conduct among Andromeda’s older generation? It is possible that these more mature stars could have been disturbed long ago, during episodes of the kind of “galactic cannibalism” that is thought to go on among most spiral galaxies. Indeed, trails of stars in its outer halo suggest that Andromeda has collided with and consumed a number of smaller galaxies over the course of its lifetime; however, these effects cannot completely account for the jumbled flow of Andromeda’s most elderly stars. Astronomers believe that a second explanation could fill in the blanks – one that owes to events occurring far earlier in history, during the birth of the galaxy itself. After all, if Andromeda originated from a lumpy, irregular gas cloud, its oldest stars would naturally appear fairly disordered. Over time, the parent gas would have settled down, giving rise to ever more organized generations of stars. 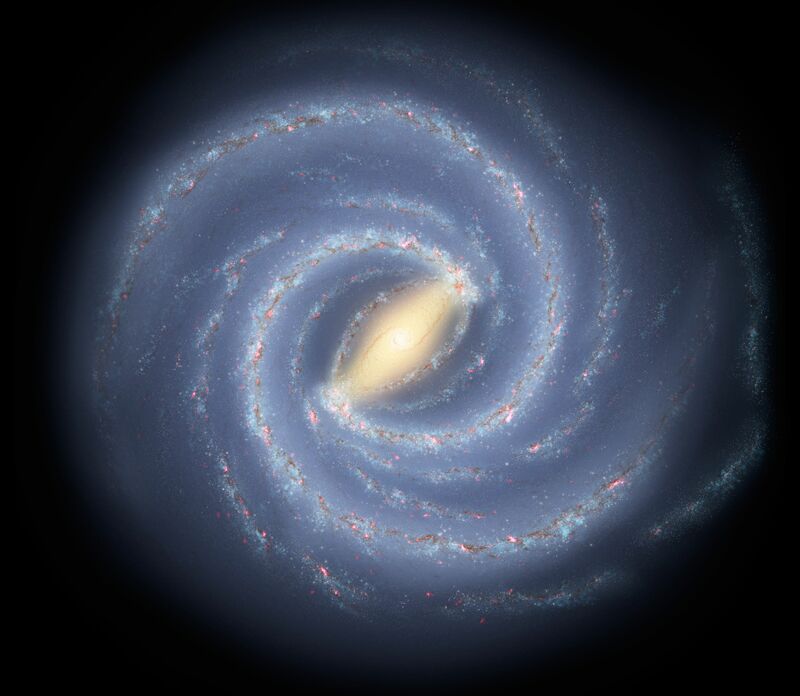 Now, thanks to this new research, scientists can cite our own galaxy’s comparative orderliness as strong evidence that we live in a quieter, less cannibalistic neighborhood than most other spiral galaxies in the Universe. 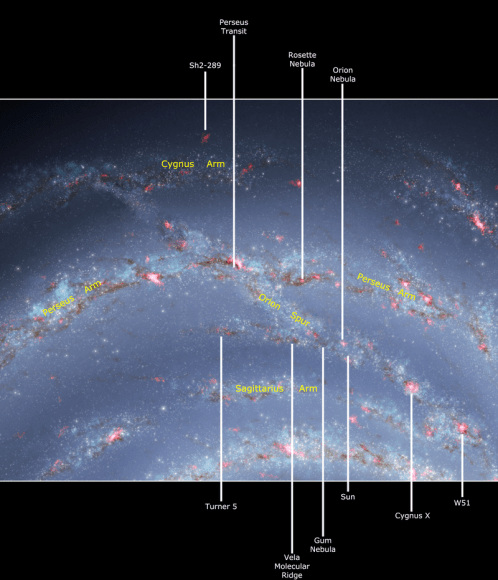 “Even the most well ordered Andromeda stars are not as well ordered as the stars in the Milky Way’s disk,” said Dorman. At least until 4 billion years from now, when the Milky Way and Andromeda collide. We may as well enjoy the A+ for conduct while we can.